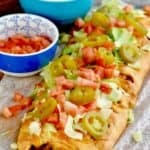 Only FIVE INGREDIENTS, this Taco Braid made with crescent roll dough (or pizza dough) is such an easy and delicious dinner, you are going to want to make it again and again. 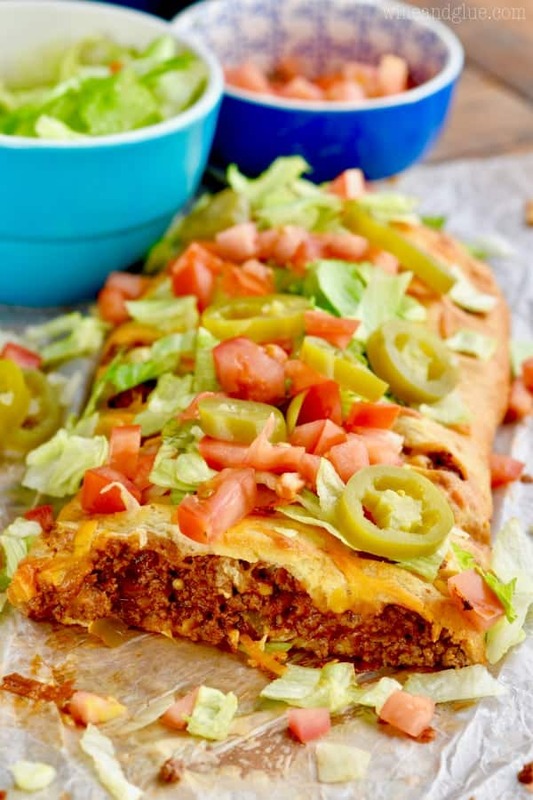 Made with ground beef, taco seasoning, cheese, and salsa, this crescent braid could not be more simple. 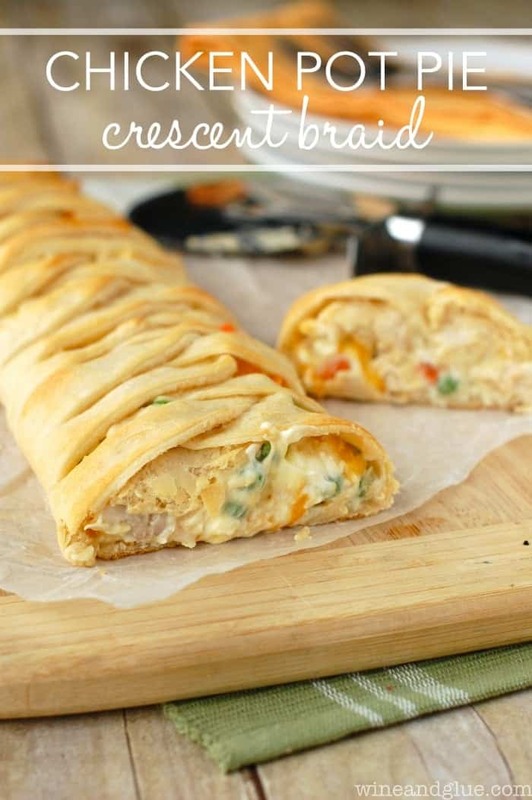 It is a fun twist on my Chicken Pot Pie Crescent Braid! If you want more tacos that aren’t tacos make sure you look at this Taco Pasta Salad and these Taco Stuffed Peppers! Do you ever look back at certain periods of your life and think, “How the hell did I get through that? ?” I feel like I have a lot of those moments in my history as a mom. One of my most popular recipes, my Chicken Pot Pie Crescent Braid, came out of one of those times. I was *super* pregnant with Piper, so just generally big and miserable. And then Quinn had just gotten her adenoids and tonsils removed. So she was post-op, in pain, and kind of miserable. And then Gavin got the stomach flu. And then Nathan had to work some crazy long hours. And I was working on a post for Pillsbury that was supposed to be a twist on a St. Patrick’s day recipe . . . and I felt brain dead and exhausted and like it just wasn’t going to happen. 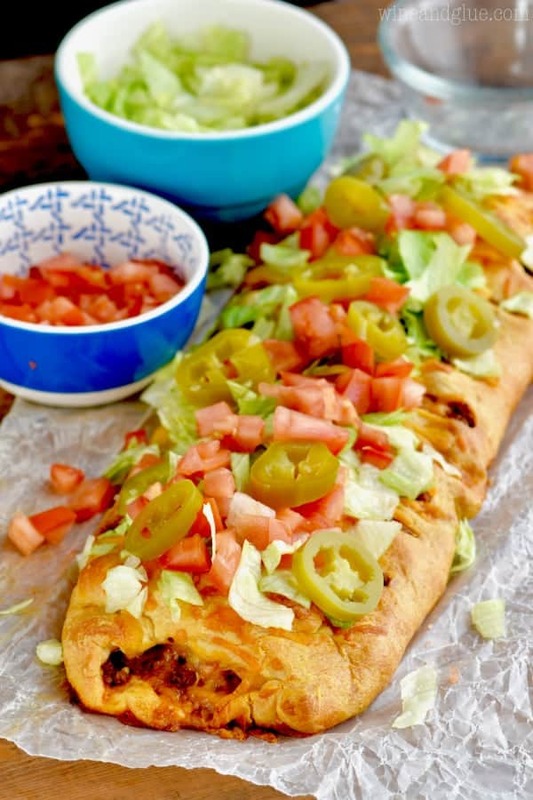 This Taco Braid is a twist on Taco Night your family will love! So the chicken pot pie braid did not make Quinn heal faster or take away Gavin’s stomach flu or make me feel less huge or make me feel less of single mom that weekend. But! It was pretty cool after to have my first viral recipe. I guess it goes to show that you never know what will come out of those “How the hell” moments. You guys really have to make this Taco Braid ASAP. 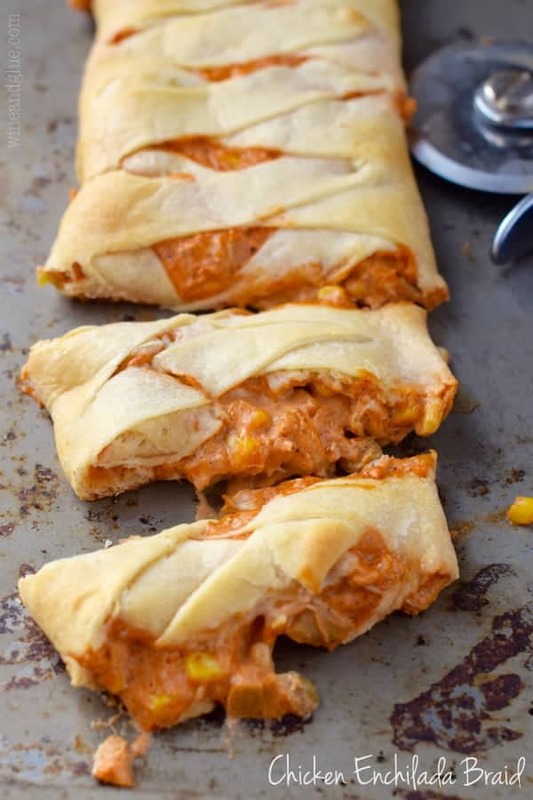 It is made with Pillsbury seamless crescent sheets, but if you can’t find those you could always make it with their pizza dough. 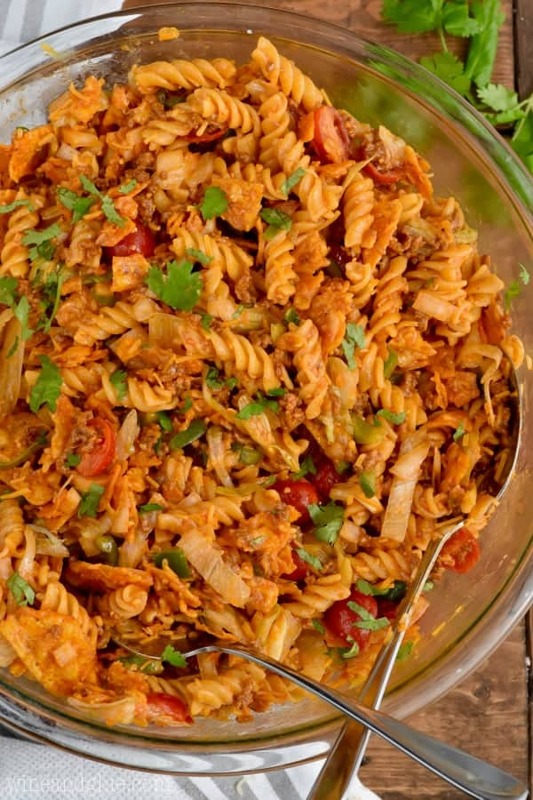 It makes for such an easy dinner that your family will be sure to love. Top it with all your favorite taco toppings or just leave it as is! Some other great twists on taco night are this Taco Chili that you can make in the Instant Pot, stovetop, OR the slow cooker (!!). 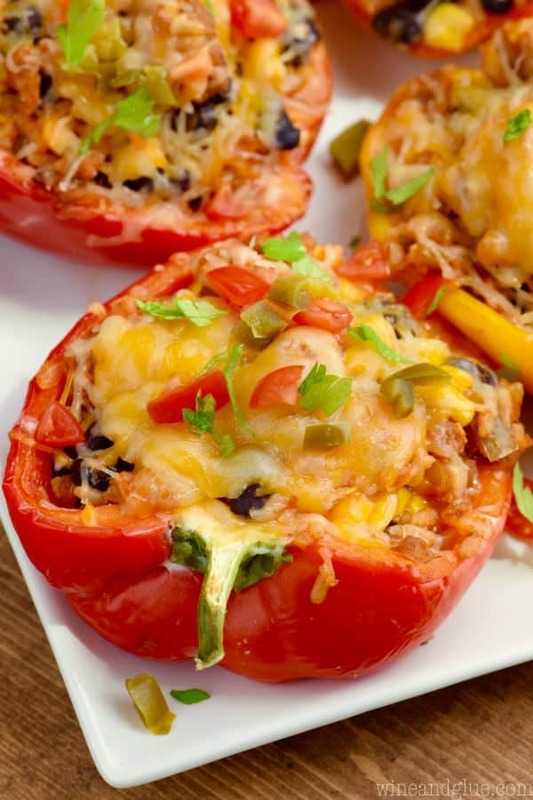 These totally dreamy and comforting Stuffed Taco Shells. And I can’t get enough one pot meals! 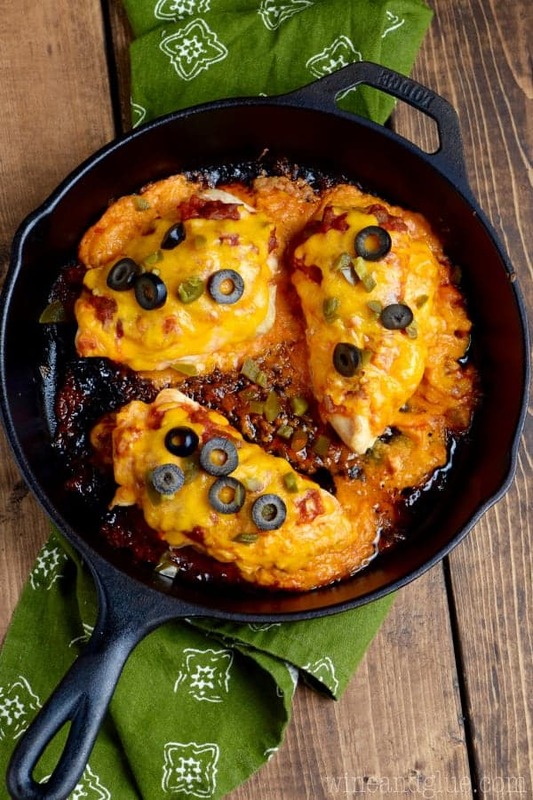 – One Pot Taco Casserole. 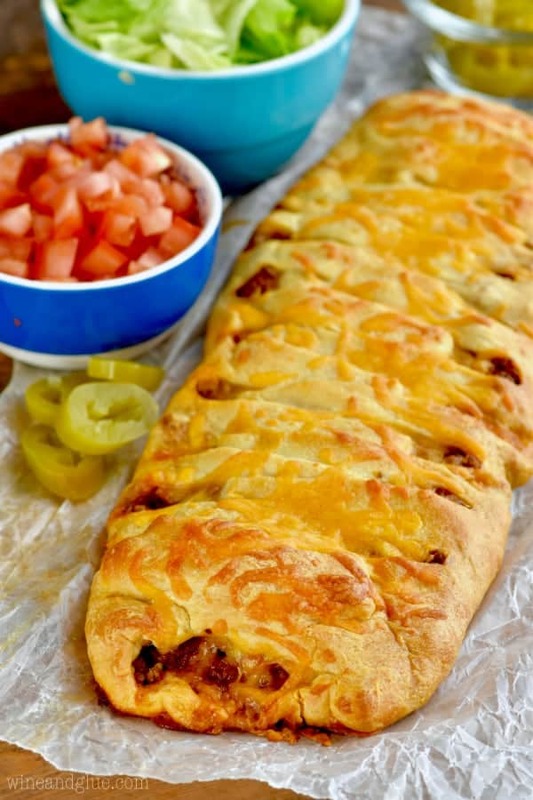 Only FIVE INGREDIENTS, this Taco Braid made with crescent roll dough (or pizza dough) is such an easy and delicious dinner, you are going to want to make it again and again. Easy braids are one of my favorite dinners. And it’s a great use for leftover meat! Sue, thank you so much for your kind words! They made my day! Forgot the best thing….. sour cream! Unless the sour cream is put on (after it’s baked) … the lettuce, tomato, etc would fall off. Where do you buy seamless crescent rolls? You can find it right with the other refrigerated doughs and the regular crescent roll dough. If you can’t find it, I would suggest that you either use pizza dough, or you get crescent roll dough, roll it all out and then push the seams together. So I made this last Wednesday for family dinner. And it was a big hit, they all loved it. Great recipe! My friend just wrote that he wanted to grow more of his own food but coldn’t find taco seeds. I will forward this to him as a substitute! Can this be prepared and refrigerated for a few hours before baking? Would like to make before Christmas service and bake for a gathering after. Thanks! Dana, honestly I wouldn’t. I feel like things would get mushy. I would prepare the meat ahead of time and then prepare the rest just before making. I can’t eat taco seasonings, so I would change this up and make a sloppy Joe filling. That sounds delicious too Barabara! Made tonight and it came out great.. added let.tom.cheese. pico.sour cream. Jap. Salsa.. after it sat. For a few.. it was great.. wife love it.. will be a a remake.. thanks..
Hi let me introduce myself my name is Barry Cramer, I’m kind of a foodie and I came across your recipies for a new twist on TACOS I would just like to take a minute of your time to thank you for the work you do by providing new and wonderful ways to make dinner time a little more exciting. Thank you Lisa God Bless and good eatings . This looks absolutely wonderful and such a beautiful presentation! I do wish, though, that your “print” function would bring in a picture instead of just the plain recipe. I’ll do a copy/paste into Word, but it’s more of a pain. This isn’t one that I would bake and freeze. If you wanted to do that, I would suggest using your own dough. I would like to subscribe to your newsletter and recipe shares. Hi Maria! There is a pink box toward the top of my blog right under my first row of pictures where you can enter your email address. I use Pillsbury pizza crust for this and it’s great. I’ve made this three times now.. this time I spread some refried beans on the dough under the meat mix. Delicious! Kids didn’t even notice. I’m so happy you like it Sarah!